There has also been a ton of change for the good. At times some of it may have seemed to be for the bad, but once the smoke cleared it turned out to be very positive for our company. We had two department managers that decided to move on to other opportunities, while at first it seemed like a set back. Once we reorganized we saw that there was room for improvement in these positions and that these individuals were holding us back. We have promoted from within to fill these two positions and have seen many positive changes within our organization. 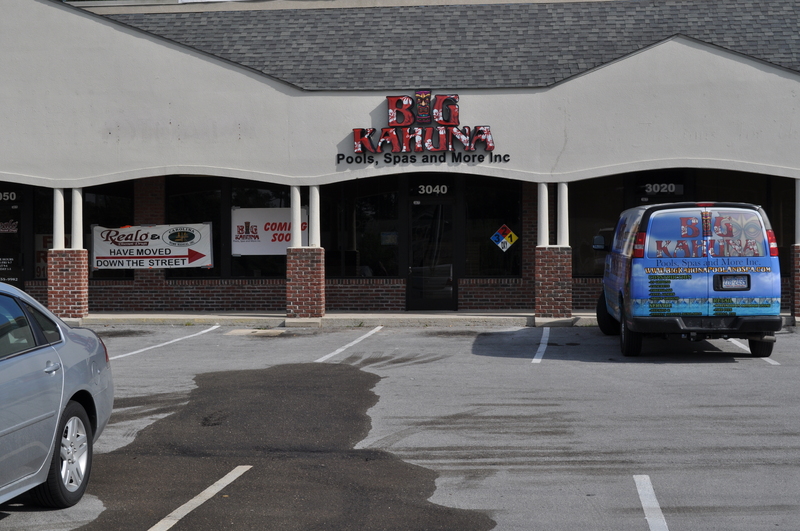 The number one major change that we incorporated this year was to open a new location/store in Jacksonville, NC. We have been doing more In-ground Swimming Pools and Service work in Onslow, Jones, Duplin and Pender Counties. Seeing this change in our business we wanted to offer a closer location to service these new customers. We have had a very positive acceptance in this new location even from some of our competitors. We have decided to institute a new policy with how we build our In-ground pools this year. We will not offer cheaply built price driven ugly pools. When the economy fell many of our competitors old and new decided that it was best to build bottom dollar quality and price pools. We have seen that most families looking to have a pool installed in their backyard really do no understand what the end product will look like once the pool is completed. Even worse these pools do not work properly causing higher costs to operate and maintain. It is our goal at Big Kahuna Pools, Spas, and More Inc. to offer the best VALUE to our customers. Fully explaining to our customers the different ways to build a pool. Showing the different options that will enhance the overall beauty of the pool for years to come. Last but not least offering all of this for a fair and honest price. We have seen a big change in the different types of pools that we build, more fiberglass and concrete. In fiberglass pools this year we focused on Barrier Reef Fiberglass Pools. We have come to find that these pools offer the strongest best built shell on the market. Their quality, fit and finish are second to none, even better they are within close proximity to us and offer the lowest price in freight to our customers. We will still offer other manufactures pools, as well as building the best looking Vinyl Liner Pools and Concrete/Gunite Pools. 2103 proved to be our best year ever with building more than 30 pools this year, even with the addition of new competition in the area. We also had a record setting year with our La-Z-Boy Spas and Hot Tub Factory Tent Events, we are looking at adding another tent event for 2014. Our partnership with La-Z-Boy Spas and Hydropool Swim Spas has allowed us to offer to customers the best styles, selection and quality in the Industry to our Customers. With all of the changes that we have seen this year we are forecasting an even better year for 2014! We look forward to meeting and exceeding our existing and new customers expectations. In closing I would like to thank our employees for allowing us to grow and servicing our customers friendly and professionally. I would also like to thank all of our customers both new and old by allowing us to continually earn your business, trust, friendship and support in 2013 and beyond!